People all over the country are starting to become more concerned and proactive when it comes to saving energy. While most energy saving behaviors are focused around residential homes, it’s vital they be kept in mind when buying commercial property in Santa Rosa as well. After all, neither your business nor your future tenants want to spend one cent more than is absolutely necessary on heating, cooling, and other energy-related expenses. Whether you’re thinking about buying commercial property in the future, or you recently purchased commercial property in the Santa Rosa area, here are some easy to execute tips that will help you save money while also increasing the value of your new building. When you buy a new commercial property, it’s important to know where you’re starting in terms of energy consumption. You can purchase a commercial energy audit from a local firm to see if there are any elements of construction costing you money in the form of leaks, etc. You should also get set up with the U.S. Environmental Protection Agency’s ENERGY STAR® Portfolio Manager®, a free tool that helps you measure emissions and energy and water use at your building. Whether or not you choose to pay for a commercial energy audit, you should perform an inspection on all areas of the building at which air can enter or exit. This includes doors, windows, ventilation ducts, and electrical outlets. The climate in Santa Rosa is warm for most of the year, and if you don’t want to waste money on excessive air conditioning, mitigating leaks is very important. According to ENERGY STAR, lighting consumes 25 to 30 percent of the energy used in commercial buildings. 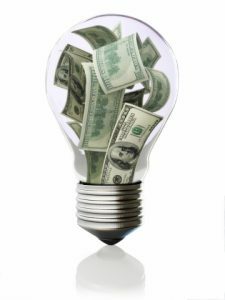 The easiest way to reduce electricity bills for yourself or any future tenants is to replace incandescent bulbs with compact fluorescent lights (CFLs) or light emitting diodes (LEDs) which can reduce lighting energy consumption by up to 75 percent. Don’t forget that lighting is more than just lamps and overhead lighting in commercial properties: exit signs, parking lot lighting, and exterior signage also puts a big strain on the utility budget. Contact North Bay Property Advisors for assistance buying and leasing commercial property in Santa Rosa! If you’re interested in buying commercial property in Santa Rosa, we can provide guidance and advice about how to make your investment as energy-efficient as possible. Contact us to learn more about our commercial property buying services today!